Happy Friday, fashionistas! This look is a little more preppy than I usually go, but this blog is in fact called New England Romance, so I have to go the nautical route every now and then. I’ve been living in dresses, but a rainy/chilly Thursday called for long pants and a loose blouse. I’m also in love with these Dr. Scholl’s slides, which I’ve come to call my Carrie Bradshaw sandals. New England meets New York. How perfect? Enjoy your weekends and kiss your papas, friends! 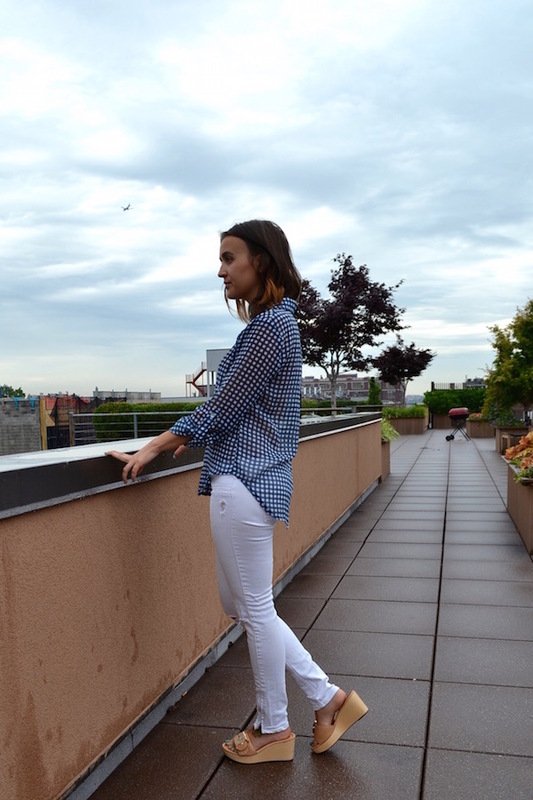 Cute gingham shirt, nice casual look! Hope you had a great weekend!! I love the gingham and white jean combo - very New England, for sure!